*Sheri Holloway has been featured several times in various magazines and blogs. Including "417" Magazine (MO), "Celebrate" Magazine (AR), "The Knot" wedding blog, and "Every Last Detail wedding blog". She was just awarded the TOP Photographers for 2017' & 2018' in the Springfield, MO 417 area by "Expertise". For more reviews you can check out Google and Facebook at Sheri Holloway Photography to see over 170 "5" Star Reviews! First off let me say, I would give Sheri Holloway Photography countless amounts of stars if i was able too! Words can NOT describe how amazing she really is! As i was searching for a photographer for my engagement session as well as wedding I absolutely fell in love with Sheri's work right off. As soon as i started looking through her portfolio i knew she was the one i wanted. I will be honest, she was a little out of our budget and at first i wasn't sure if i was going to book her or not. But, I kept thinking of her work as the days went by and i couldn't get her out of my mind. I ended up calling Sheri. Oh. My. Goodness. I am so glad I did! As soon as i heard her voice i could tell she was such a sweet spirited person and that she really cared about her clients! She worked with me on a package that fit our needs. So what i'm trying to say is that if the price is bothering you, you will not regret picking Sheri. She is worth every last penny because of her tremendous work. After working with her there is no way I would want anyone else to capture our special moments than her. She is so fun, hilarious, and kind hearted. She makes you feel stress and worry free. She is comfortable to being around. Has an amazing personality! She is passionate and radiates JOY! She makes sessions so personal and i have a blast every time i'm with her! She captures true laughs and real moments! I can't brag about her enough! She is one talented lady! I feel honored that she captured MY wedding! I would like to review from a guests perspective. Sheri was not only attentive to the bride and groom, but also managed the group pictures us friends encouraged her to do. Her presence lit up the room and she was wonderful to converse with during group photos. I couldn’t wait to see the pictures from the wedding. Jaw dropping is truly the best way to put it. The pictures were stunning and she is truly an artist with her staging. I wish I could rewind 5 years and have her do my wedding. Talented, creative, social, personable and a visionary are just a few ways I would describe Sheri Yvonne Holloway. Our wedding day at Integrity Hills was beyond anything we imagined! Breathless, magical, and surrounded by the most incredible team of talented creatives who brought our day to life. We live in Chicago, but without a doubt wanted our day to be at Big Cedar (Integrity Hills). Sheri went above and beyond to help plan out all the photo details, collaborate on locations, create a vision for the set up and make sure our style/vibe would come through. I knew we were in the right hands! Her connections, referrals and suggestions also added so much value in finding my makeup artist Nikki Smith, our wonderful videographer MJR Films and many more insights into the people we would be working with. As an Art Director, I knew I wanted to work with someone who had a strong visual aesthetic, with a bright and natural style along with a sense of space at each location. Sheri knows her stuff! And she does it with so much passion. Her energy is vibrant and she brings that out in all her clients (aka friends) that she's working with. Thank you Sheri, I would recommend you a million times over. Cheers from Chicago! When my husband and I started planning our wedding, we decided that the photographer was one of the most important things to us. We wanted someone we trusted, that had a super fun personality, and we wanted bright and airy photos. Sheri was all of that and more. From our first conversation with Sheri, it was hard not to feel happy and excited, her personality is so infectious, and her photos are truly works of art. We were so in love with her, we knew right away we wanted her to be our photographer, and I am so glad she was. Our engagement photos were so beautiful, it made me even more excited for the wedding. She also did a bridal portrait session with me a couple weeks before the wedding which I highly recommend. It gave me the opportunity to figure out what I do and don’t like, and to feel comfortable in my dress. And when I thought she could not get any better, the wedding day came, and she was so AMAZING throughout the entire day. Our guests gave us tons of compliments about how fun and how on top of things our photographers were. Her Second Shooter was Brooke, and we she was also so amazing and helpful on the wedding day! They are the best duo and really complement each other. We only have sneak peaks so far, but they are so beautiful and have exceeded my expectations in every way. She was also extremely helpful throughout the planning process and had the best recommendations for vendors. Sheri is an amazing person and an incredible photographer. I really can’t say enough about how much we loved her. If you are looking for best, please pick Sheri. You will treasure the memories and the pictures for forever. Sheri Holloway and her second shooter Brooke are absolutely INCREDIBLE! I truly believe that without Sheri there is no way our wedding would have run as smoothly as it did! Not only did she take absolutely STUNNING photos, but she helped me in a little bit of wedding planning and ensured that we stayed on time throughout our wedding day! Sheri made taking photos fun and easy and I could not believe my eyes when I saw how perfect the photos were! We seriously have had people comment that my husband Josh and I look like models in our wedding photos because of how perfect they have turned out! I cannot thank Sheri and Brooke enough for making our wedding such a success and our photos a total dream come true. We will cherish these photos forever and they are certainly worth while! 1. She has a very artistic view & makes every moment very original & personal. 2. She is so much fun to be around & makes you feel very comfortable & able to loosen up while she’s taking pictures. 3. She really goes above & beyond for her clients, it is very easy to tell she loves her career & is very passionate about it. 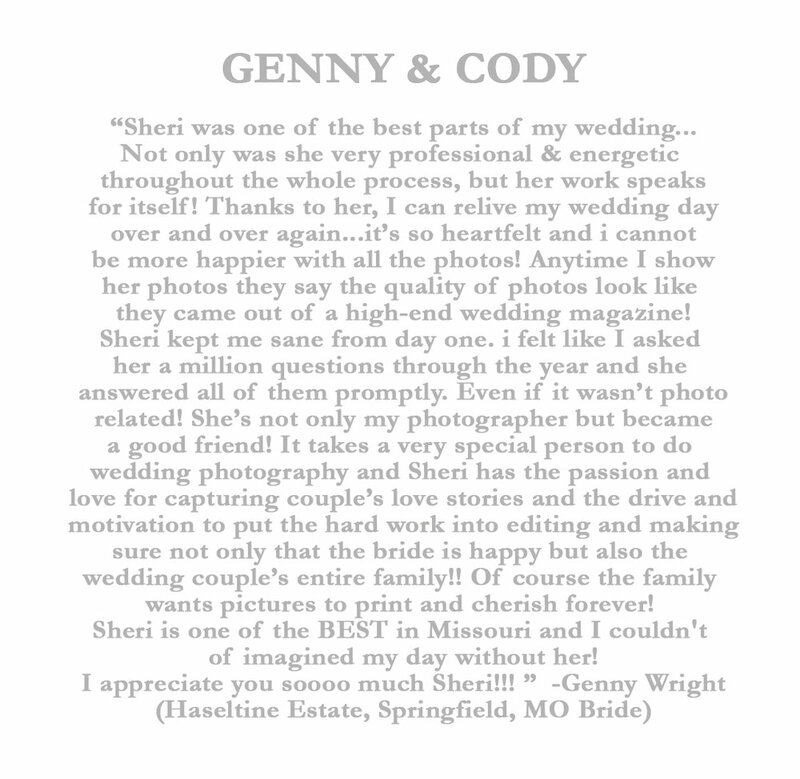 The photography was the single most important thing to me for my wedding & I put full trust in Sheri. We received our pictures just 2 weeks after our wedding, which is a crazy fast turn around since we got what seems like a thousand photos & I love them so much! I am so grateful to have these memories for the rest of my life! Sheri Holloway was fantastic to work with - from the first email to our phone consultation, she was very communicative and offered great suggestions. I was planning a wedding from over 3 hours away and hadn't seen the venue I had booked on sheer faith. She had been at this venue several times and was so helpful in validating my choice. Her talent is unsurpassed! There were literally hundreds of photos to choose from....each one is beautiful and the turnaround of the digital prints was very quick. My wedding guests were impressed with per personality and those that I've shared the pictures with were awed with her talent! Sheri is a true artist! Five stars is an understatement! Sheri was fantastic to work with and helped make our wedding day exquisite. I'm already in love with the sneak peaks and can't wait to see the rest! Neither my husband or I are comfortable in front of the camera and Sheri made us feel at ease during both the engagement shoot and wedding day. She made herself available for questions and recommendations throughout our planning process. Her passion for what she does truly comes out in the photos she captures. We can't thank her enough for everything. Clients for life! Sheri is amazing to work with. 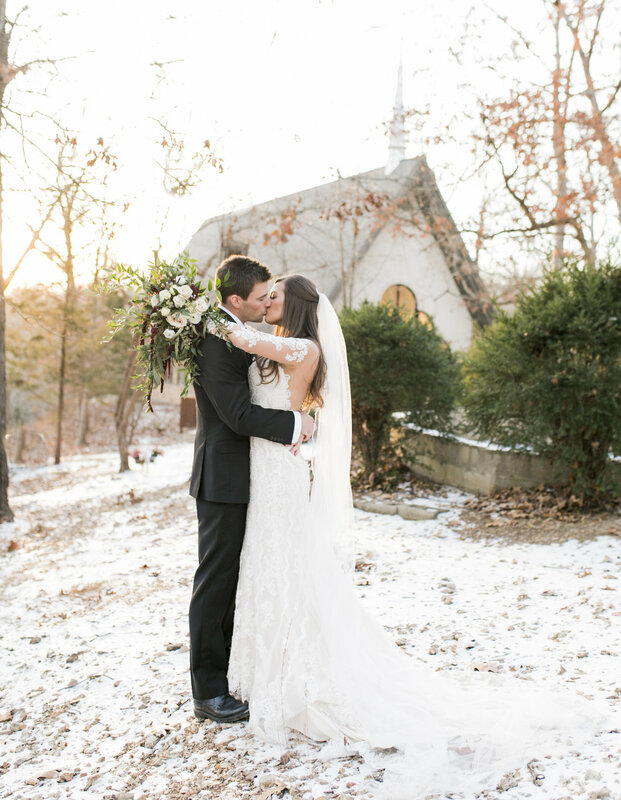 She has a heart for people and truly desires to capture the "love" of the wedding day. Her energy is matched only by her gentle spirit! She has an artist's eye and has the experience needed to efficiently capture the moments you want to relive forever. I am indebted to her for the tangible reminders of a day that was a true celebration of love. Her photographs are a treasure and truly represent the emotions of a marriage and day made in heaven!! Sheri was absolutely amazing for the entire process. I met her almost a year before my wedding and fell in love with her immediately! She wanted to know everything about Chris and I, about the venue, and my picture of a perfect wedding day. She was so helpful along the way with any questions I had. I had no idea how to plan a wedding because i was the first of my friends to get married! Sheri was so helpful with giving me good ideas and tips that really helped me! The day of the wedding she was awesome, she got all the shots i wanted and more!! So many beautiful detail shots and details of the resort too! She made Chris and I so comfortable, and made sure we were having fun! The day of the wedding we were both very sick with colds and she made sure we took breaks and were well taken care of. She was there every moment of the day and even stayed and danced with us at the reception too! You can tell she loves what she does, not only before and on the wedding day, but long after too! I couldn't be happier with her work, and now our friendship!! Thank you Sheri!!! If you are getting married you need Sheri in your life!! I am so glad I stumbled upon Sheri Holloway Photography. As I was searching for photographers I immediately knew Sheri was the one for us. Her style was exactly what I was looking for and even her questionnaire led me to know she was special and really interested in her clients. She took our engagement photos in addition to our wedding photos and did a fabulous job with those. I can't imagine our wedding day without her. My mom commented several times on how well she kept things moving for us throughout the day. Our timing was perfect, we never felt rushed. She made everyone relaxed and that was exactly what I was looking for. Our entire wedding party loved her. And of course we LOVE our photos. I can't say enough to express how wonderful Sheri is! "We booked Sheri Holloway for our June 11, 2016 wedding at Sycamore Creek Family Ranch. I cannot sing her praises enough. Sheri and her partner Michael were absolutely the most wonderful people that we have ever come in contact with. Michael was very attentive to both mine and my husband's needs. We got married on a day that the temperature rose to 94 degrees. We were very hot to say the least! Michael had no complaints about running back and forth and grabbing us bottles of water to ensure that we stayed hydrated. We had planned out a timeline of our First Look's and photo op's prior to the wedding, and when the timeline fell behind schedule, Sheri did not sweat it at all! She was flexible, kind, and always upbeat. We absolutely loved Sheri and Michael's personalities. We were truly blessed to have such kind, amazingly talented, and professional photographers shooting our big day! Sheri's skill in producing the most beautiful shots is unsurpassed. Her pricing was very reasonable too. Getting two photographers who are both amazingly skilled at what they do was worth every penny spent. We felt like we were famous! Thank you Sheri and Michael for making our big day that much more special. Sheri never misses a beat and made the day so much fun! We love you guys!" 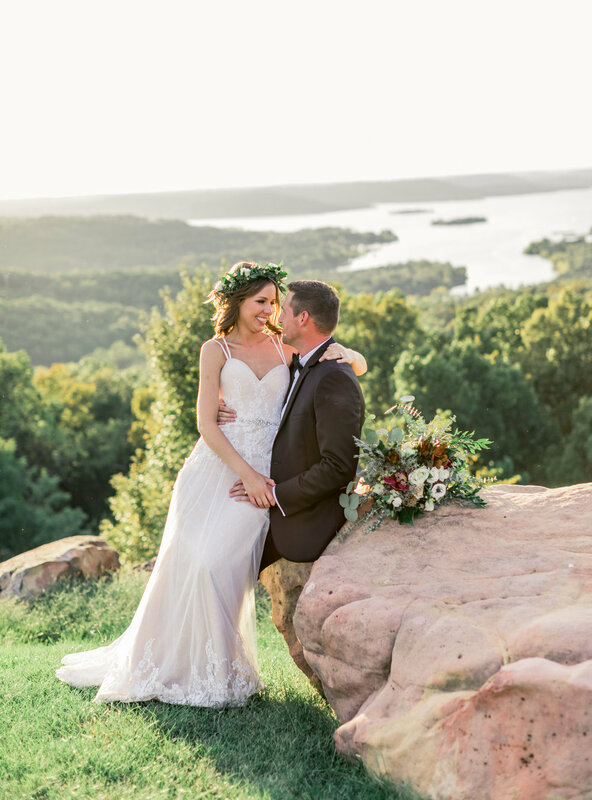 "I was unsure of who I was going to use as our wedding photographer since I'm not from the Branson area and was super nervous because I had heard a wedding photographer makes or breaks the memories you walk away from your big day with. I was browsing around different sites and when I saw Sheri's picture I just felt like she looked fun--and was my instinct ever correct. Sheri gave 110% to me the entire time I was in Branson for our wedding. The bridal portraits we took were phenomenal and she built me up to feel confident in my wedding dress a couple days before the wedding. The wedding day was a complete whirlwind to me and I'm forever grateful that it was not for Sheri and that she was a step ahead the whole time. We had a large wedding party and it took a lot to keep us all together. She was able to capture the day from start to finish. We are so pleased with our picture gallery and would recommend Sheri Holloway Photography to anyone having an event in the greater Branson area!!" Oklahoma City, OK. Bride. “Sheri was amazing on our wedding day. She made me feel like a beautiful princess and captured heartwarming moments from our special day with the eye of a true artist. Simply the Best!” Springfield, MO Bride. We absolutely loved working with Sheri Holloway Photography. She did an amazing job with our photo's and keeping Craig interested (he actually had fun taking pictures - can you believe it?!?!). Dogwood Canyon was an awesome place to hold our wedding. Arkansas Bride.